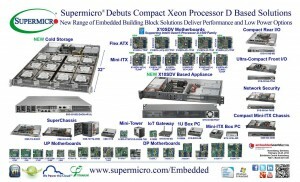 Supermicro® show their New Compact Intel® Xeon® Processor D Based Products and Complete Server/Storage Solutions. 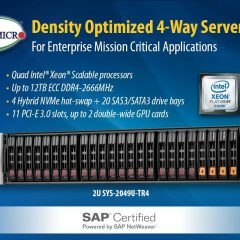 The New Range of Embedded Building Block Solutions Deliver 16/12/8 Core Performance and 6/4/2 Core Low Power Options with Intel® Xeon® Processor D-1500 Family. 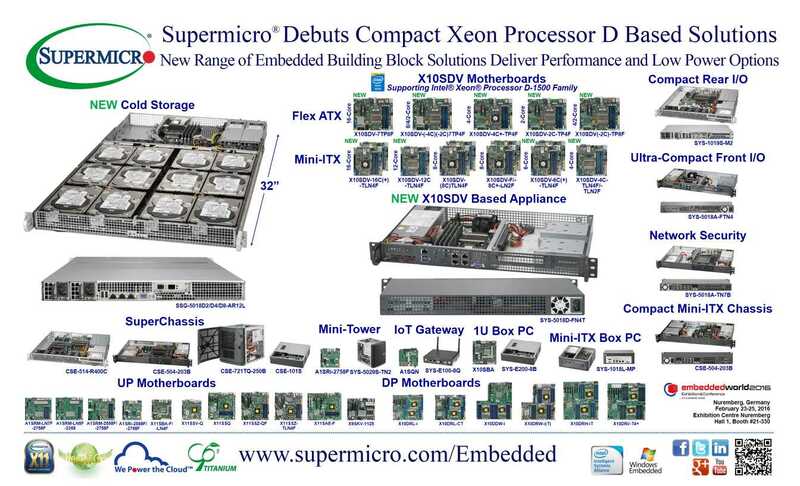 Supermicro expanded range of compact X10SDV motherboards which now extend top end performance with support for the new 65W 16-core Intel® Xeon® processor D-1587 on the X10SDV-7TP8F as well new low power solutions supporting the 25W 2-core Intel® Pentium® processor D-1508 on the X10SDV-2C-7TP4F featured in the new 1U 12x 3.5” hot-swap HDD Cold Storage solution SSG-5018D2-AR12L. The new series of compact X10SDV boards include support for Intel® Xeon® processor D-1500 family 8-core (X10SDV-7TP4F) in 1U warm storage SSG-5018D8-AR12L, 4-core (X10SDV-4C-7TP4F), and 2-core (X10SDV-2C-7TP4F) in 1U cold storage SSG-5018D4-AR12L. 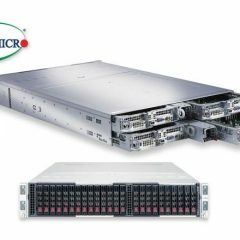 Combined with embedded optimized SuperChassis SC504/505/510/721 and SC514/515/813, Supermicro enables new applications from cold, warm and hot storage to converged infrastructure for network/datacenter edge to cloud solutions. 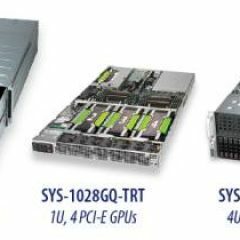 Supermicro’s compact 1U short-depth SuperServers, Mini-Tower and Box PC systems, ultra low-power Edge-to-Cloud mesh network Internet of Things (IoT) Gateway System (SYS-E100-8Q) powered by a 2.2W Intel® Quark™ SoC X1021, single (UP) and dual processor (DP) Intel® Xeon® processor-based motherboards and SuperChassis solutions. 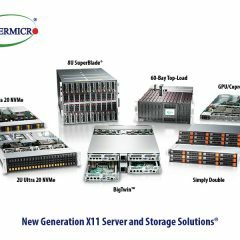 Supermicro’s expanded line of low power and performance oriented Embedded Building Blocks now enable new cold, warm and hot storage solutions as well as a complete range of converged infrastructure solutions optimized for data center, network and edge to cloud. 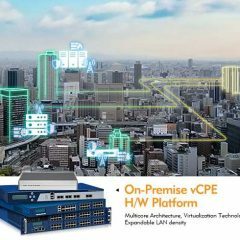 With the vast growth of data driven workloads across embedded applications worldwide, the demand for a strong solution provider is critical. 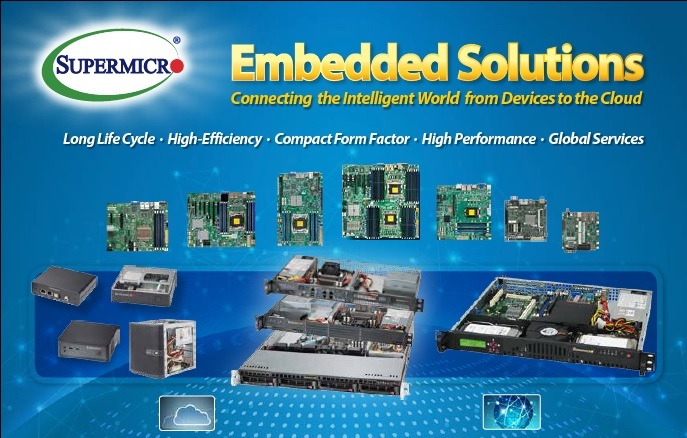 Supermicro’s dedication to offering the latest, most advanced technologies and developing complementing low power IoT gateway and compact server, storage, networking solutions deliver the best end to end ecosystems for ease of deployment and open scalability.